So I have been meaning to write this blog post for so many weeks now but just haven’t got around to it … so finally here it is! 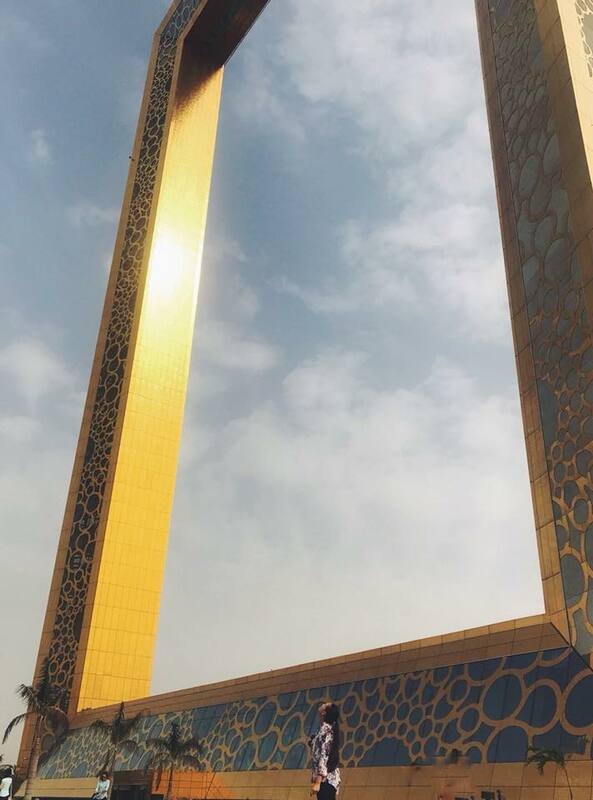 While my Mum was here visiting me in Dubai we decided to check out the newly constructed Dubai Frame! I had been wanting to go for quite some time but the weather was always a bit overcast every time so we finally got a day where it was clear and made it a day out! 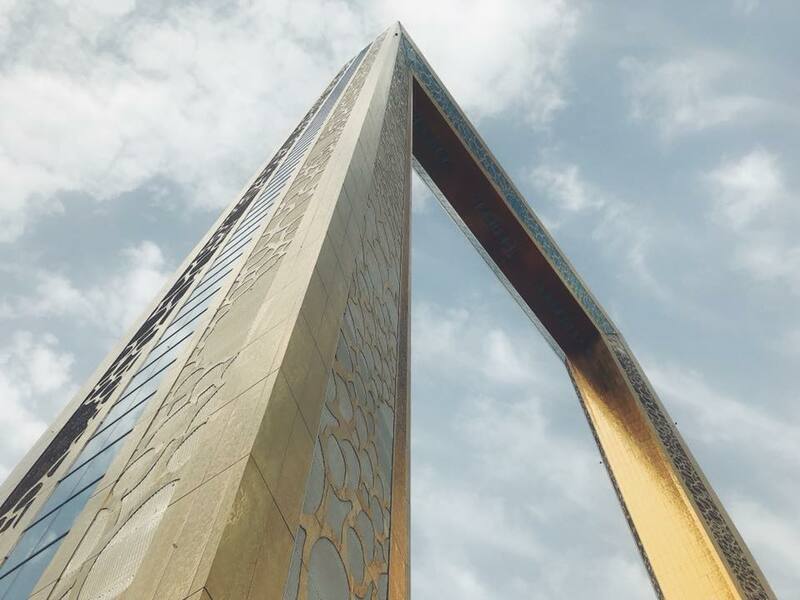 The newly designed Dubai Frame has been described as ‘ the biggest picture frame on the planet’ and stands at a whopping 150 metres tall! 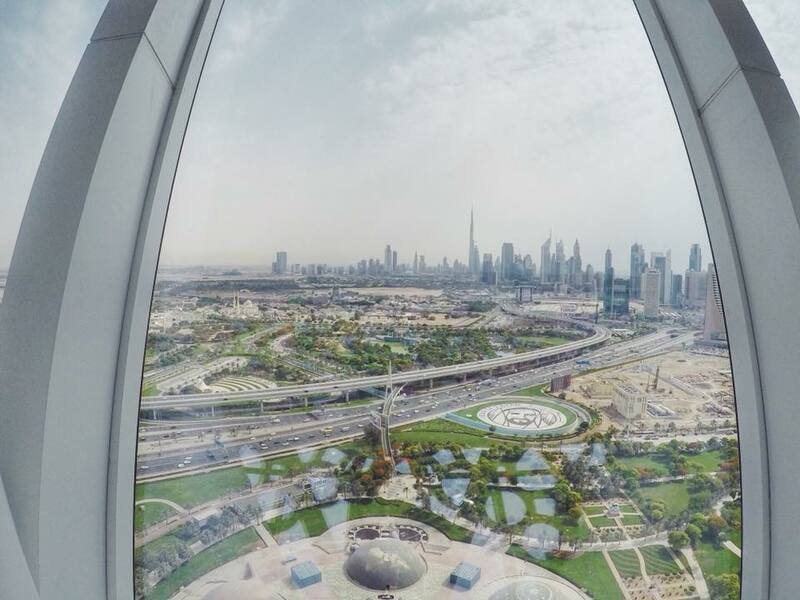 Located in Zabeel Park this new attraction portrays both the Old Dubai and New Dubai. 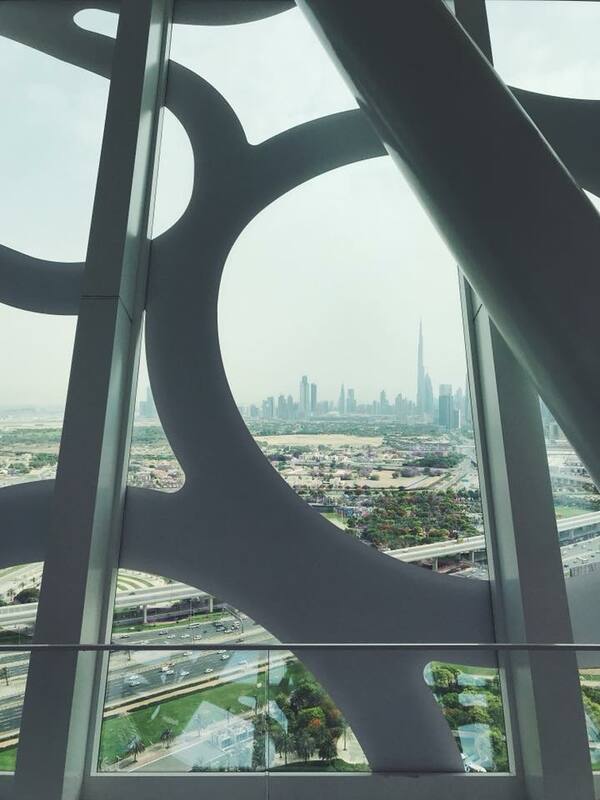 There is a museum on the lower floor that showcases Dubai’s merging from a small fishing village to the futuristic city it is today and their future plans. The whole project is worth an astonishing 160 million dirhams and once you see it up close for yourself you will understand why. 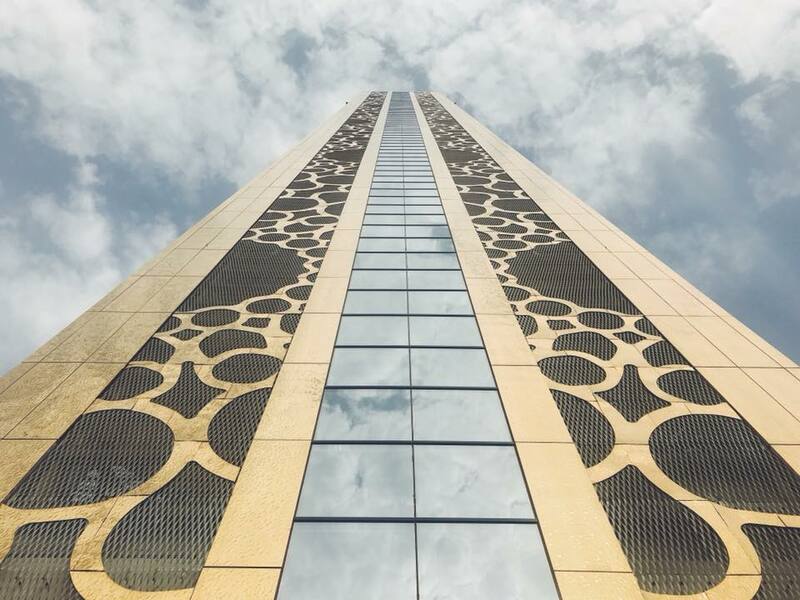 The gold detailing and construction of the buildings design itself is something out of movie and it truly is spectacular to see what Dubai is capable of doing. Mum and I were dropped off by my husband to the front gate where you can line up to purchase your tickets before entering inside. Tickets are priced at 50 dirhams for adults and 20 dirhams for children, while adults of the age of 60 can enter for free. Once you enter the gates you will see that there is a row of umbrellas that are available for use as you make your way through the park towards the frame. Once you enter the frame itself you will pass through security where they will take the umbrellas back off you. 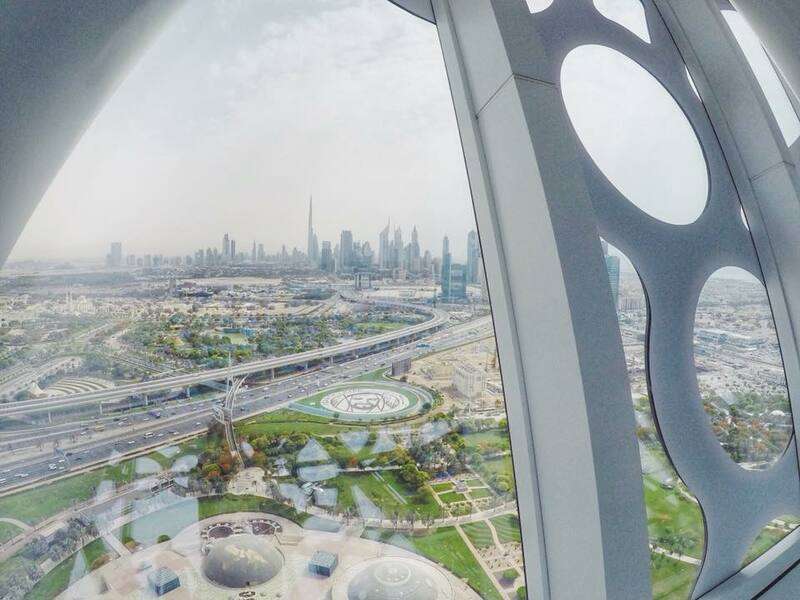 We made our way up the escalator where there is a room filled with information and photos on the construction of the Dubai Frame before heading into the lift that takes you to where you really want to go … The top floor!! As expected the view from above is remarkable and we had so much fun trying to point out places that we were familiar with around the city. 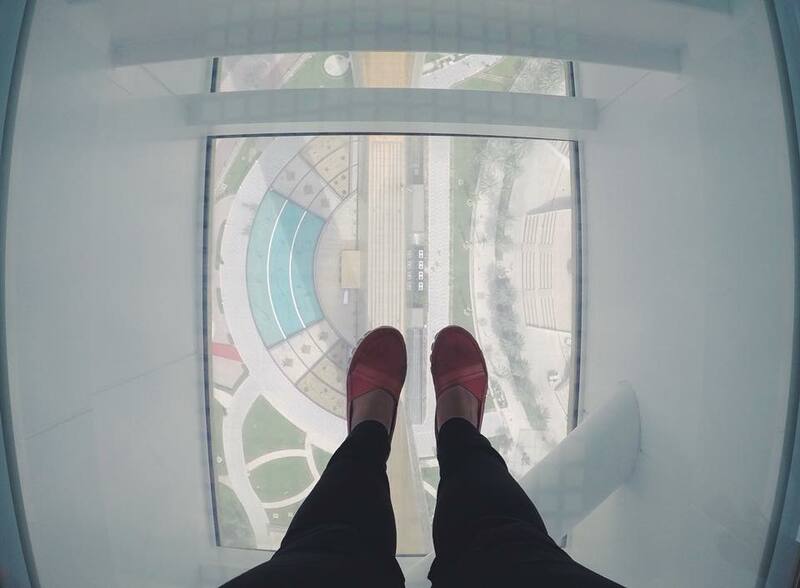 The glass panel is scary and my Mum couldn’t stand on it but I managed to push myself to step on the glass for just a second to take that iconic foot photo. There is a small Japanese Bakery on the top floor which sells pastries and coffee which was pretty average, but it’s good that they at least have the option there if you didn’t get time to squeeze in your morning coffee before arriving. 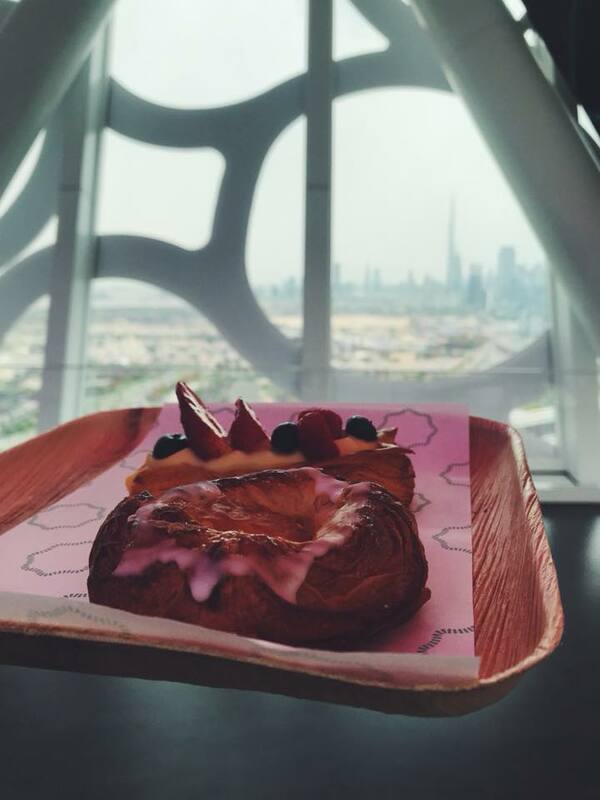 You can spend however long you would like on the top floor admiring the view and taking as many selfies as you like and then once you get back in the lift and return to the lower floor you will be ushered into a dark room that sort of resembles a cinema. Here they will play a very interesting short movie on the future plans of Dubai. It really blew my mind and so I’m not going to give anything away but trust me you need to see it for yourself! On the way back we decided to catch the metro as it was peak traffic time and so we walked to the closest metro station Al Jafiliya. It is not that close at all and you pretty much have to walk around the outside of the entire Zabeel Park to reach the metro station. Fine for those of us who are young and speedy but I really don’t recommend it if you’re traveling with elderly people. Instead try calling an Uber or wait for a Taxi outside the front gates, ( keep in mind that at busy times there may not be any taxis at all, which is what happened in our case ). 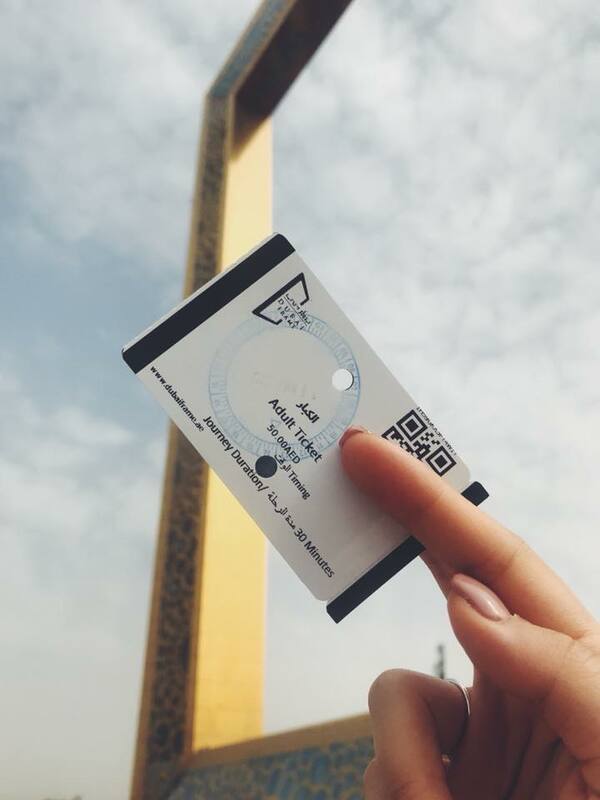 Overall it was an experience that is worth doing whether you’re living here or have people visiting Dubai and what is nice is that the price is not anything absurd compared to some of the other tourist attractions in Dubai. 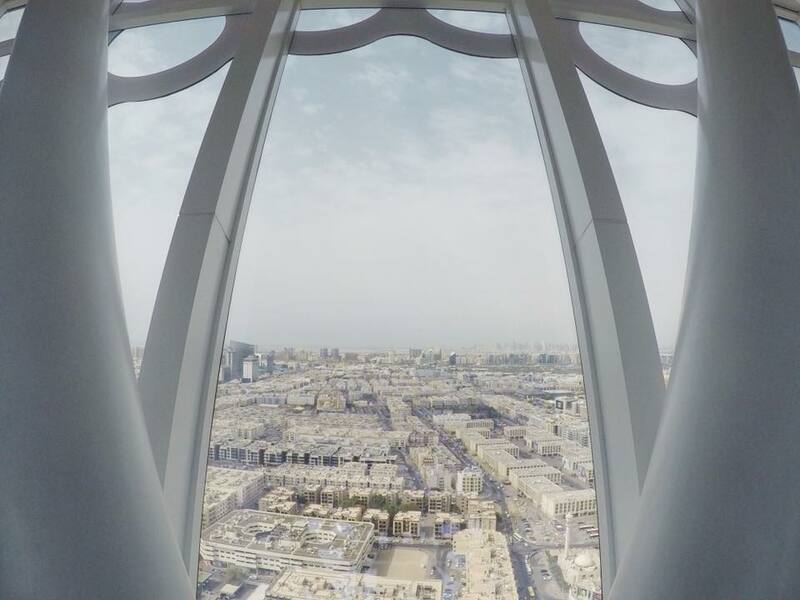 I would definitely recommend that you give it a visit and if you do let me know what you thought of the wonderful Dubai Frame!